Most parents will attest that getting kids to eat healthily can be like nailing jelly to the ceiling. But with childhood obesity on the rise, it’s become even more important to find creative ways of improving children’s diets. According to a new poll, the solution might lie in making healthy eating more fun and desirable. The research shows that three in ten (29%) kids think healthy eating is boring. 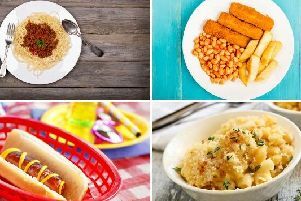 What’s more, two thirds of children think healthy eating is unimportant and one in four (25%) say healthy food doesn’t taste nice. Part of the issue may be the lack of experience children have of preparing food. Only a quarter regularly help make meals, with twice as many boys (16%) than girls (9%) having never helped prepare a family meal. Despite this, more than one in three (36%) say they would like to cook more. A separate survey of parents reveals that nearly half (44%) would like their children to understand more about healthy eating and three in ten (31%) would like them to cook more, showing that both children and parents are united in their wish to spend more time together in the kitchen. Both surveys were carried out by Wholegrain Goodness, a not-for-profit campaign that aims to raise consumer awareness about the health and culinary benefits of wholegrains. In response to the findings, Wholegrain Goodness is releasing the new video that shows how much fun children can have in the kitchen, as well as the havoc they can cause. It also shows how pleasantly surprised they can be when tasting nutritious foods. The need to better understand the nutritional value of foods also became apparent amongst both adults and children. For example, results from the surveys indicate widespread confusion across all ages about what foods contain wholegrains with more than three quarters not realising popcorn is a wholegrain and about half not realising porridge is.